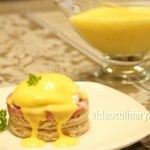 Hollandaise sauce is one of the five classic mother sauces. 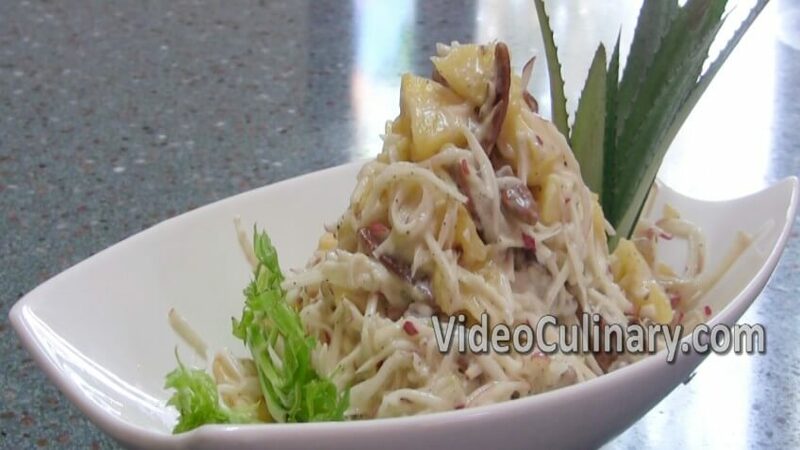 It is rich and buttery and goes well with fish, meat, vegetable and egg dishes. 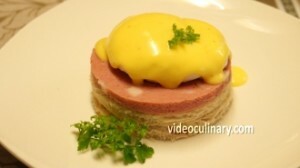 Separate two egg yolks. 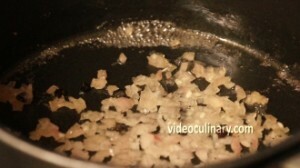 Mince 1 shallot, combine with 8 black peppercorns, 30 ml (1 oz) of vinegar and 2 teaspoons of lemon juice in a saucepan and reduce until nearly dry. Add 2 tablespoons of water and strain through a chinois into a bowl. 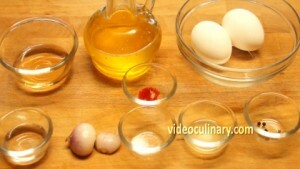 Whisk the egg yolks with the reduction until it triples in volume. Place the bowl over barely simmering water and cook, whisking constantly until the eggs are thick and form ribbons when they fall from the whisk. Remove the bowl from the heat and gradually add 150 grams (5.3 oz) of warm butter, whisking constantly. If the sauce turns out too thick, add a drop of water or lemon juice. Add ½ a teaspoon of salt and a pinch of cayenne pepper. The sauce is ready to serve. 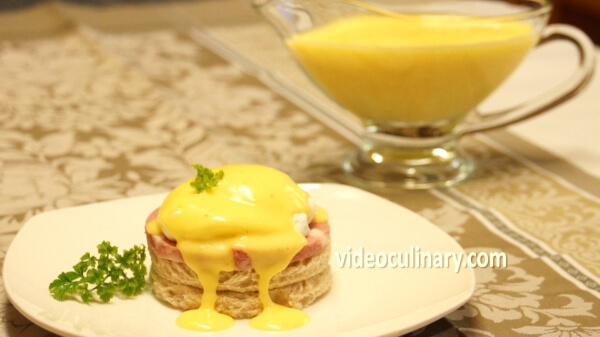 We love it over poached eggs. 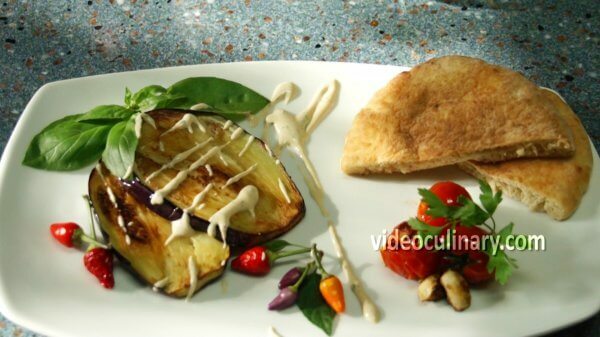 Please visit our website for more recipes!